The Brooklyn bridge was opened, Richard Wagner passed away and Buffalo Bill staged his first Wild West show. But the most historic moment by far was here in Christchurch with the formation of the Addington Workshops Brass Band. Funded by a levy of all employees who worked there and composed of workshop employees, the band was formed to feature at picnics and other social events. Surviving a recess through two world wars and several name changes, Addington Brass is still an integral part of the Christchurch community. As well as performing at many engagements, Addington Brass opened its new rehearsal facilities in March 2003. A new look rehearsal hall with acoustic panels, 3 new acoustic practice/teaching rooms and an upper level built to host one of New Zealand’s most extensive music libraries. Officially opened by the Mayor, Garry Moore and blessed by the Dean of Christchurch Cathedral, the very reverend Peter Beck, the new bandroom now gives Addington Brass the facility it needs for its extensive rehearsal schedule. David began his musical journey at the age of 8 learning piano, then undertaking cornet tuition at 11 through the Wellington South Salvation Army Junior Band before becoming a member of the senior band at 15. During this period he quickly became proficient on guitar, Bass guitar, Cello, Trombone as well as forming an Acapella vocal group which toured Australia on numerous occasions. David studied classical trumpet at the Wellington Conservatorium of Music has been a member of the Wellington Youth Orchestra, National Youth Jazz Orchestra but also a foundation member of the Wellington reggae band Southside of Bombay known for the song “What’s the time Mr Wolf?” which featured on the NZ movie “Once were warriors”. David is Deputy Bandmaster of the world renowned NZ Army Band and Bandmaster of CantNMWC regiment Band. an accomplished singer and multi-instrumentalist, David also is the arranger in residence for Woolston Brass. Grant studied Music at Canterbury University completing an Honours degree in Music Education, Baroque Performance Practice and Musicology in 2003. 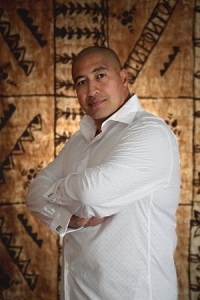 He then completed his teacher training in 2004 at the New Zealand Graduate School of Education before taking up the position of Assistant Head of Music at Cashmere High School in Christchurch. Grant also spent eight years as Assistant Director of Music and Organist at the Cathedral of the Blessed Sacrament, before recently accepting the appointment of Director of Music at St Mary’s in the City. In his time at the Cathedral he performed extensively as organist, harpsichordist and singer with the Cathedral’s Choir and Orchestra as well as conducting both of these groups. In his position at Cashmere High School he is part of a team that has built an extensive curricular and extra- curricular music programme. Grant teaches all levels of secondary music from Yr 9 to Yr 13 and in addition to conducting the Orchestra, Concert Band and Chamber Choir he also works with and supports numerous other groups in the department. 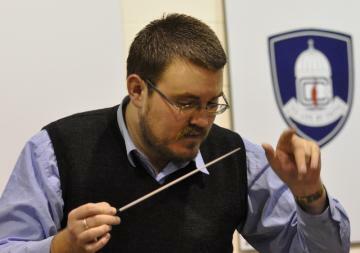 He has led as many as 70 students on music tours throughout New Zealand and Australia and has been Musical Director for all musical productions at the school since his arrival. As a conductor, organist and pianist he has performed or worked with many groups in Christchurch including the Christchurch Symphony Orchestra, Christchurch Youth Orchestra, Garden City Orchestra, Christchurch City Choir, CSM Sinfonia, Jubilate Singers, and Addington Brass Band etc. He is also the conductor for the Christchurch Primary School Music Festival Concert Band and Accompanist for the Festivals Senior Special Choir. Grant is sought after as an accompanist working with many instrumental and vocal soloists and as an organ soloist in his own right throughout New Zealand and Australia. This is Grant’s first foray into the world of Brass Bands and we look forward to the skills and knowledge he brings with him.